As a Christian academy dedicated to excellence, Divine Savior Academy provides college-prep academics in a Christian environment through supportive teachers. Our Doral campus is located in the greater Miami metropolitan area and serves students in preschool, elementary, middle, and high school. Our international program serves students in high school from around the world. Divine Savior is a community of families, students, educators, and friends who are dedicated to working together to help our children thrive. That’s why we call ourselves “The DSA Family.” The best way to learn more about us is to come visit us. We will show you our campus in action, as well as answer your questions about academics, programs, and admissions. Schedule a private tour today! 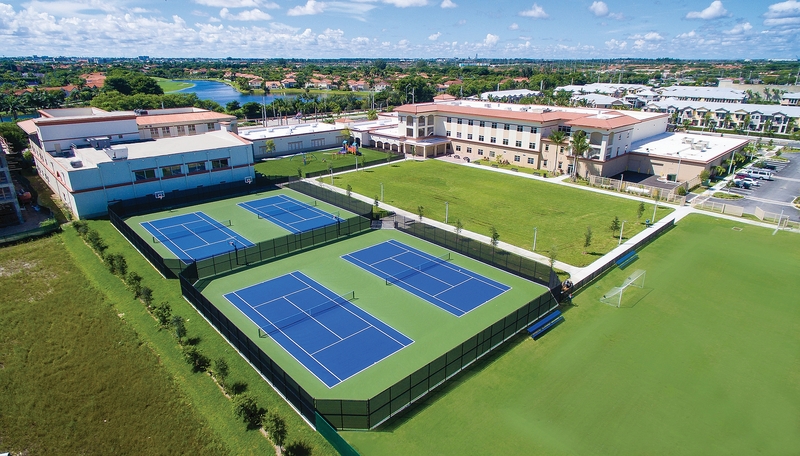 Divine Savior Academy's Doral campus is accredited by the Association of Independent Schools of Florida (AISF), the Southern Association of Colleges and Schools (SACS), Accreditation International (AI), the National Council for Private School Accreditation (NCPSA), and the Middle States Accreditation (MSA CESS). Watch our video tour to experience a day in the life of our students, our facilities, and our programs. The best way to learn more about our academy is to come visit us. We look forward to meeting you and your family!